Shanghai is located in the eastern China, sitting at the mouth of Yangtze River. It is the largest, most prosperous and populous city in China. Due to rapid economical development, Shanghai has become the center of the economy, finances, trading, and transportation in China. 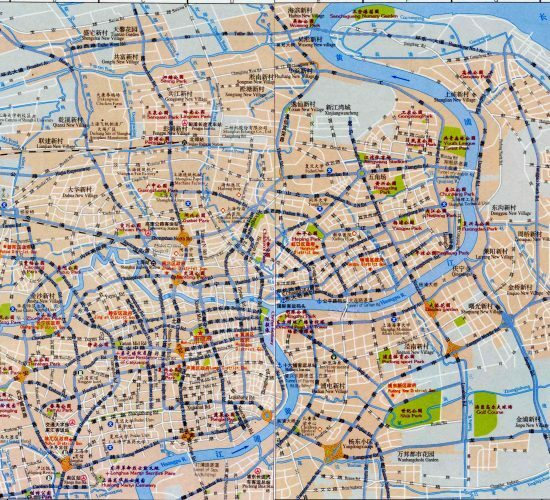 Often known by its shorthand names of Hu or Shen, Shanghai is one of four municipalities directly under the central government. Occupying more than 6,000 square kilometers, it accounts for just 0.06% of China territory. Chongming Island in Shanghai area is the third largest island in China after Taiwan and Hainan. 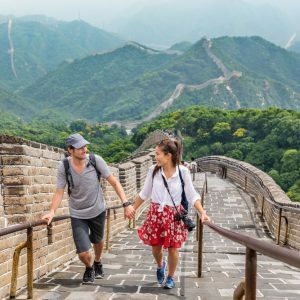 Take a look at our selection of affordable Shanghai tours below, or check out more tours of China and beyond! Shanghai is also a very popular tourist destination renowned for its many historical landmarks and modern buildings such as The Bund, Yuyuan Garden, Oriental Pearl TV Tower, and its extensive and growing Pudong skyline, etc. The beauty of Shanghai is centered on its various styles of architecture. The old Chinese architectures style make people immerse themselves in the world of 1930s. The Gothic arch, Baroque corridors and south gardens and residence of south China harmoniously display melding of the eastern and western cultures. In a city more than 5,000 years old, Shanghai is still like a new-born baby in many respects. You cannot find the ancient temples or hoary monuments. But Shanghai has art deco architectures, bullet-fast Maglevs, sky-high buildings, jazz, and European streets. 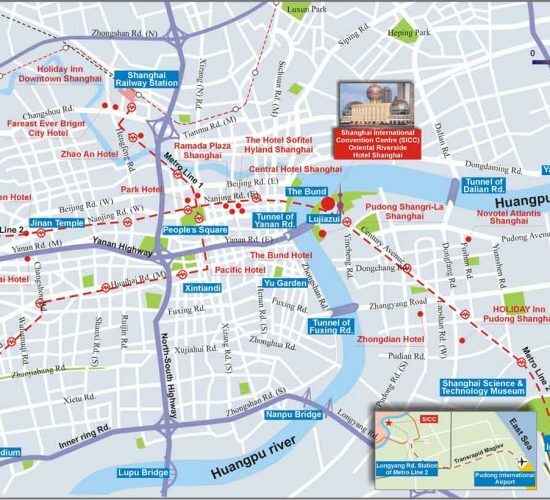 The Bund, former French Concession and Shanghai museum are certainly sights not to be missed. In addition, other activities like shopping on Nanjing Road and watching acrobatic shows are also well worth your time. 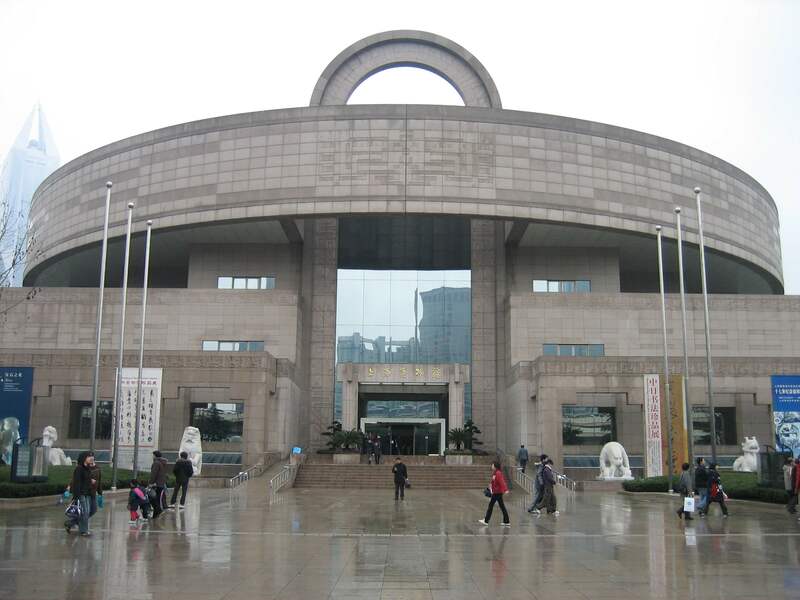 Shanghai Museum is a museum of Chinese ancient art, which is located on the People’s Square of Huangpu District. Shanghai museum was founded in 1952 on Nanjing West Road. In 1959, it moved into former Zhonghui Building at 16S, Henan Road. 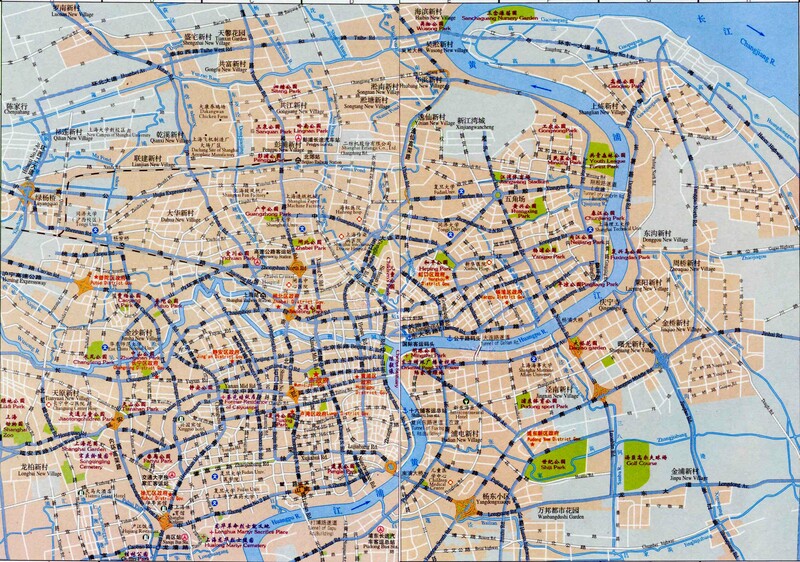 In 1992, the Shanghai government allocated a piece of land in People’s Square as its new site. The new building has a round top and square base, symbolizing the ancient Chinese perception of the cosmos, that the “sky is round and the earth square”. The museum is separated into several exhibition rooms to display the ancient bronze, porcelain and earthen wares, Chinese painting and the carvings. 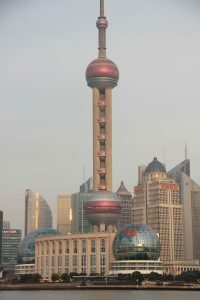 The Oriental Pearl TV Tower is located the tip of Zhujiazui in Pudong District, by the side of Huangpu River. With the height of 468 meters, it is the tallest in Asia and the third highest in the world. As the famous landmark of Shanghai, it is comprised of 15 spheres of different sizes at different levels. There is a revolving restaurant where visitors can enjoy the cityscape on the banks of Huangpu River. A sightseeing platform in the TV tower is on the largest ball accommodating 1,600 visitors. On this platform, panoramic view of Shanghai can be got here. Standing on the suspended sightseeing corridor, you can watch the view of Huangpu River through the glass floor. Located in the center of Shanghai, the Bund houses 52 buildings of different architectural styles like Renaissance, Baroque, and Gothic. 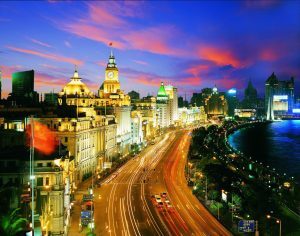 The best time to stroll along the bund is at drawn to watch Tai-chi performances or at dusk to watch sunset settle over the skyscrapers. Nanjing Road is the busiest and most prosperous commercial streets in Shanghai. 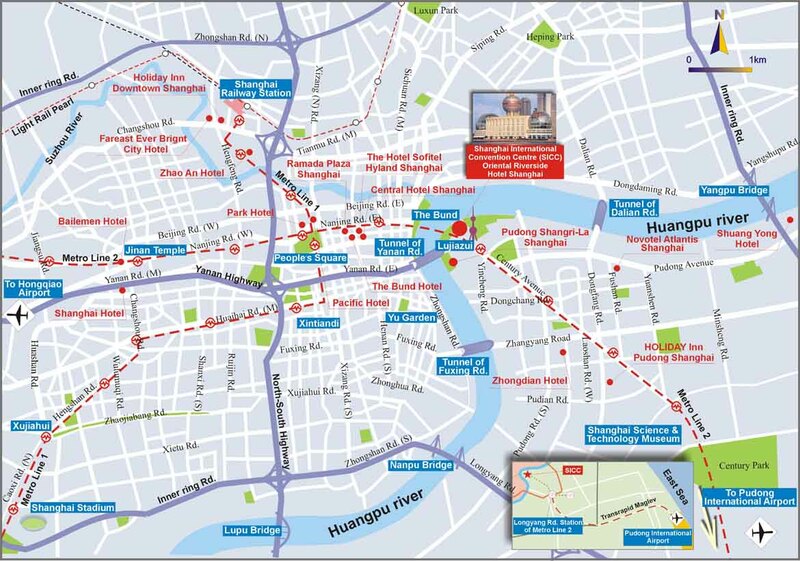 At over 3 miles in length (5.5 kilometers),, it is separated into two parts, Nanjing Road East and Nanjing Road West. It houses over 600 shops where you can find not only inexpensive local products but also the luxurious brand-name merchandise. On Nanjing Road West can be found some famous attractions, theaters, and entertainment sites like Jing’an Temple, Shanghai Art Museum, Paramount Hall, etc. Shanghai acrobatic show is performed each night and lasts about for two hours in Shanghai Acrobatic Troupe which was established in 1951 and is one of the best acrobatic troupes in China. The Shanghai Acrobatic Troupe has acrobatic performers who put on 300 shows per year to meet the visitors’ demands, and the troupe has performed in the other countries such as Japan, America, Canada, Spain, etc. As the featured residence of Shanghai, Shikumen appeared in 1860 and combines western and eastern architectural styles. The houses of Shikumen are two-storied with a yard. 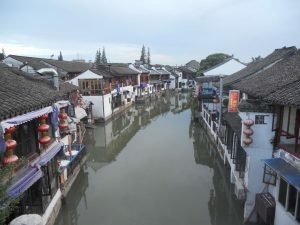 Tianzifang is a tourist destination which preserves the local Shikumen houses, some of which have become craft stores, coffee shops and trendy art studios. Jing’an Temple is the famous ancient temple in Shanghai. 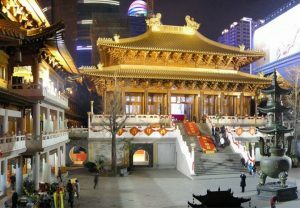 Jing’an District was named after the temple which was said to be built during the period of Three Kingdom (220-280 CE). 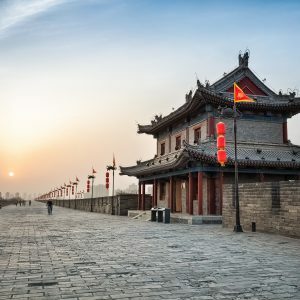 In the temple, visitors can find a giant bell from the Ming Dynasty and a stone table with inscription of Emperor Guangzong of the Song Dynasty (960AD-1279AD). Located in the Lujiazui area of Pudong District, opposite the Bund, Jinmao Tower is the third highest skyscraper in China at 420.5 meters. It contains offices, the Grand Hyatt Hotel, Sightseeing Hall, and other others. With an area of 1,520 square meters, it is the largest hall for sightseeing. Knowledge Road is 700 meters long and 25 meters wide. There are many statues of famous figures such as Sir Isaac Newton and renowned Chinese author Lu Xun standing on the both sides of the road. 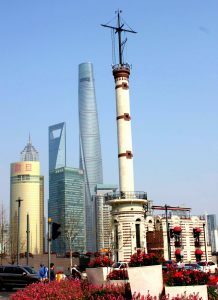 As a public square, People’s Square occupies an area of 140,000 square meters at the center of Shanghai. People’s Square which was used to be the place of assembly and parades can accommodate roughly 1.2 million persons. After extensive renovation, the square has become a political and cultural center. People’s Square contains many famous building such as Municipal Services Building, Shanghai Grand Theatre, Shanghai Museum, People’s Square subway station, and an underground mall. 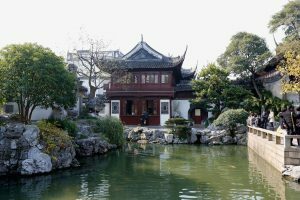 Xin Tian Di is a historical and cultural attraction in Shanghai. It is a district of shopping, eating and entertainment. It consists of reconstructed Shikumen houses on the narrow alley and modern buildings. Generally speaking, just about any time of the year is a good time to visit Shanghai, but the best time is from March to May and from September to November. March to May is springtime in Shanghai when various kinds of flowers bloom and trees come to life. However you should not only consider the weather to but also public holidays. On Tomb-Sweeping Day, typically during the first week of April, people usually go to graveyards nearby to mourn the dead so that there is very heavy traffic on the roads. May Day holiday is around the first week of May when millions of Chinese travel domestically and internationally. Just avoid these two traveling periods if visiting Shanghai in spring and should be free form having to deal with any crowds. Although autumn is probably the best time to visit Shanghai, an occasional typhoon may hit Shanghai in early September. Therefore listen to weather broadcast every day at this time if you happen to be in Shanghai. The seven-day holidays of National Day from October 1 to 7 are the high season for the Chinese to travel, so remember to avoid it. Shanghai is endowed with many distinctive sightseeings, from the breathtaking Yuyuan Garden, flourishing The Bund, impressive Huangpu River, bustling Nanjing Road, grand Jade Buddha Temple, ancient Xintiandi Area. Stand on the lofty Oriental Pearl Tower to capture a panoramic view of this vibrant city, linger in the breathtaking Yuyuan Garden, stroll along the prosperous Nanjing Road and wander around the bustling Bund to discover this metropolis by yourself! 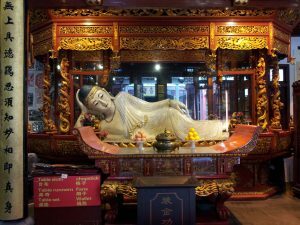 No Shanghai trip is complete without visiting these attractions! Rooted in Chinese traditional culture, Shanghai culture mainly came from the ancient Wu and Yu states during the Spring and Autumn Period (771 BCE – 476 BCE) and also absorbed elements of western culture after 1843. This culture is unique and has its own features. A special term, Haipai (“Shanghai style”), was coined in the 1920s to refer to this one-of-a-kind admixture of Eastern and Western cultures found in Shanghai. 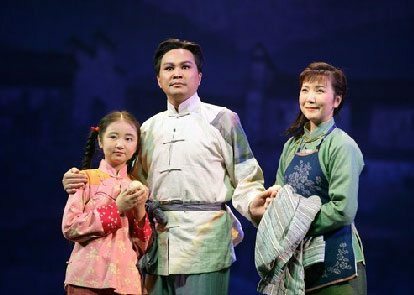 Hu Opera, based on the folklore of Huangpu River area, was formed during the late Qing Dynasty during which the First Opium War took place from 1840 to 1842 between China and Great Britain. The performance of the early Hu Opera only needed two performers. One played a musical instrument and the other told a story. With gradually development, Hu Opera became an established art form in 1930s. Hu Opera also adopted some elements of movies and dramas in terms of lighting, expression and stage design. Shanghai has an impressive collection of buildings with rich and varied architectural styles ranging from neoclassical to art deco buildings. Besides western-style buildings, many Chinese traditional structures also can be seen in Shanghai. 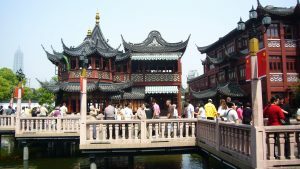 Yu Garden, constructed in 1559, is an example of traditional architecture in Shanghai. 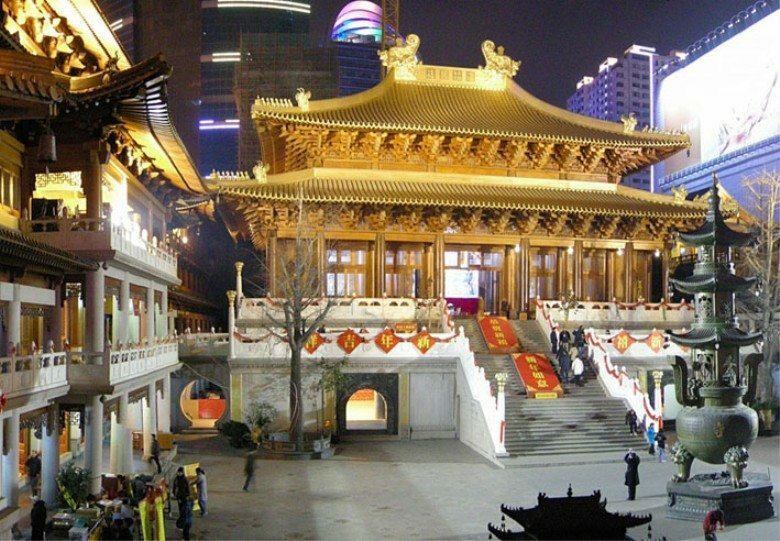 The City God Temple, connected to Yu Garden, is a large Taoist temple complex with long history and is representative of Chinese traditional buildings. 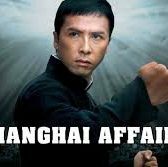 Many outsiders are unaware that Shanghai is the hub of Chinese film. The history of Shanghai movies can be dated back to 1896 when the first film was showed in Xuyuan, Shanghai. Shanghai food is also called Hu Cai which is gradually evolved from standing dishes. To great degree, Shanghai food is influenced by that of Nanjing, Hangzhou, Suzhou. Shanghai food features heavy and highly flavored sauce. Another uniqueness of Shanghai food is the use of sugar, especially when used proportionally soy sauce, which makes the dish savory. Shanghai abounds in various kinds of seafood for its position at the mouth of Yangtze River and facing the East China Sea. So, seafood in Shanghai is very popular. Shanghai or Hu cuisine is a popular type of Chinese cuisine. With history of 400 years, it originated during the Ming and Qing dynasties. Also known as Benbang cuisine, Shanghai cuisine absorbed the elements of other cuisines such as that of Chuan and Lu to come up with its distinctive flavor. 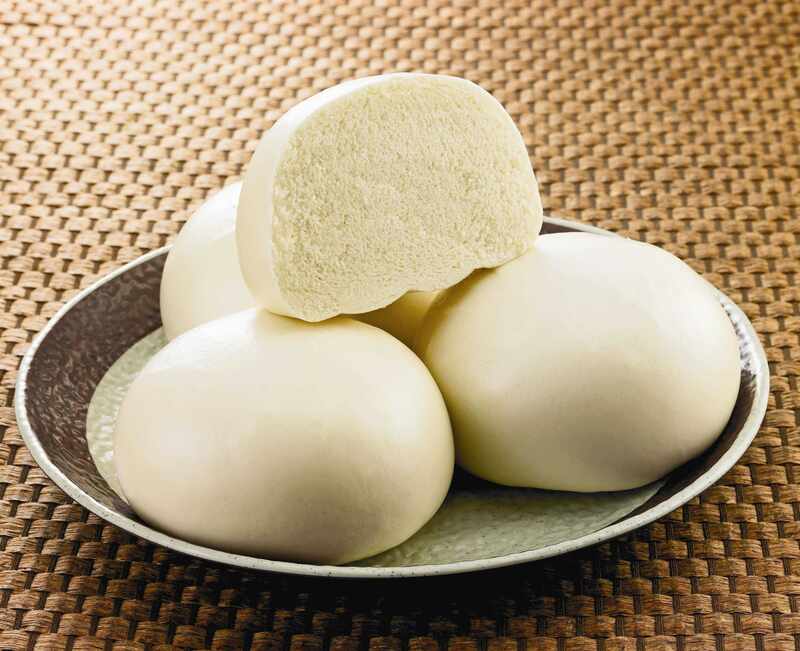 Steamed Buns of Nanxiang Town is very famous and have been for more than 100 years. It features thin, chewy skin and delectable stuffing which make Xiao Long Bao a big hit among customers. The filling of Xiao Long Bao in Nanxiang Town is mainly made of pork and pork skin jelly, seasoned with ginger, salt and sugar. The steamed Xiao Long Bao is made with non-raised fine flour. 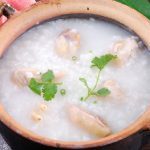 As its name suggested, chicken porridge is made with chicken soup as its main ingredient. 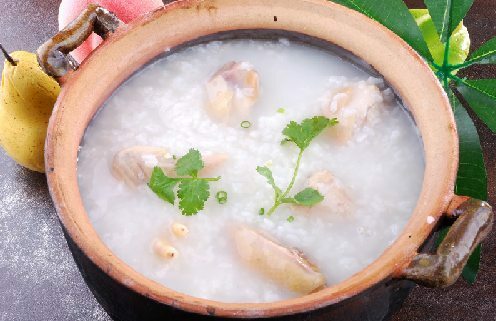 This porridge can be found in most restaurants among which Xiao Shao Xing restaurant is the most famous. Chicken porridge in Xiao Shao Xing is very authentic and delicious. Where to Eat: Subbranches of Xiao Shao Xing are ubiquitous in Shanghai. 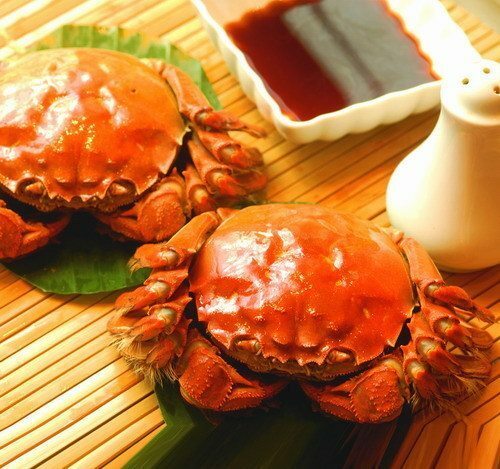 Da Zha Xie is a special type of crab which can be found in the nearby river. Steamed Crab is a distinct dish in Shanghai. The crab is tied by ropes or strings, placed in a bamboo container and steamed. There are few ingredients added to the dish. When eating, vinegar is used as a baste. The well-known Xie Ke Huang Pan Cake in Shanghai was created in the 1920s. Taking shape of crab’s carapace or dorsal section, Xie Ke Huang is crispy and delicious. Xie Ke Huang is divided into two kinds according to stuffing: briny and sugary. The stuffing in the former contains green onions, pork, crab meat, shrimp. The sugary stuffing is made from sugar, sweetened bean paste, date paste, rice, etc. Wu Jiang Lu is the most popular street in Shanghai when it comes to food. Situated at the west of Nanjing Road and near People’s Square, Wu Jiang Lu is lined with numerous small restaurants contrasting with the nearby magnificent hotels. Many old restaurants provide the authentic and delicious Chinese snacks among which Sheng Jian Bao (pork-stuffed fried dumplings) is highly recommended. In recent years, many western restaurants and cafes opened to satisfy foreign visitors. Located in Huangpu District and neighboring on Yu Garden, Old Town God Temple Snack Street is regarded as the “kingdom of snacks” in Shanghai. 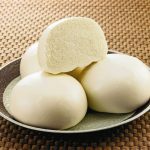 The delectable and famous snacks here include Xiao Long Bao, fermented glutinous rice, Chinese rice pudding, date-filled crisp, and other tasty dishes. Snacks of other areas also can be found here. Huanghe Road Food Street is located in the north of People’s Square in Huangpu District. Huanghe Road Food Street was once the representative among numerous food streets. It is packed with numerous restaurants which provide different kinds of cuisines at affordable and reasonable prices. For enlarging the dining space, many one-floored restaurants were divided into two floors. Built in 1991, South Yunnan Road Food Street enjoys a high reputation in Shanghai. From East Jingling Road in the south to East Yanan Road in north, this street is 820 feet long and attracts numerous visitors each year. Even though it focuses on local snacks, the streets are also packed with restaurants offering cuisines from other areas, such as Shangdong cuisine, Sichuan cuisine, etc. However, western-style restaurants are hard to find here. Situated in the northwest of Hongkou District, Zha Pu Road Food Street is an old street was once a landmark among Shanghai food streets. The restaurants along Zha Pu Road mainly offer Shanghai dishes and the cuisines of the southern provinces. With elegant decoration inside, Ni Zang Garden Restaurant offers an exotic atmosphere. The most popular dish is passion fruit fried rice cooked with cashew, raisin and green peppers. Address: No. 427 of East Park Village 4 at No. 500, Dong Chang Road, Pudong New District. This restaurant is famous for its spicy food and delicate designed scenery. It is enjoyable to eat delicious food in this beautiful environment. Situated at Mei Ling Nan Road, Pu Tuo district, the food in this hotel is delicious and the staffs are friendly and very accommodating. 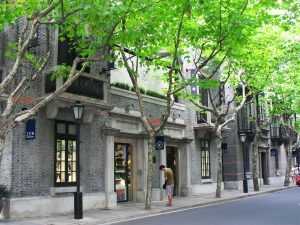 Shanghai, hailed as the “shopping paradise” and “oriental Paris”, impresses visitors with its extravagance and modern feel. Apart from enjoying the exotic cityscape, shopping is a must for tourists to Shanghai. Tens of thousands of privately-run shops dot the city. Open-air markets and road-side vendors offer various kinds of traditional crafts and souvenirs at low prices to the many international travelers who pass through the city every day. Woolen needlepoint tapestry is divided into two kinds. One type is more of a collectible while the other is valued for its practical utility. 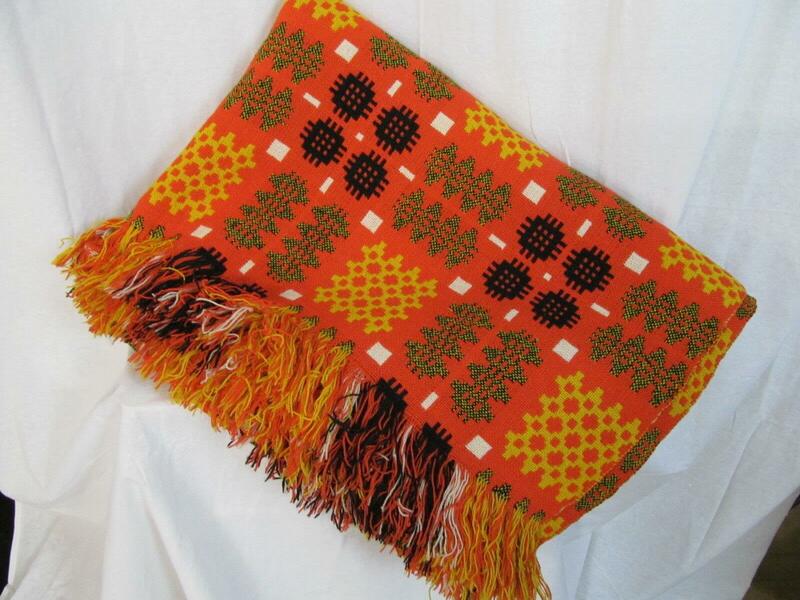 Many works of woolen needlepoint tapestry are held in very high regard in China and abroad. One tapestry named “Great Wall” was displayed at the headquarters of the United Nations. Shanghai is a major producer of wood carvings. The wood carvings can be classified into three kinds by the type of wood which includes whitewood, redwood, and boxwood. Redwood is mainly used to carve small ornaments. Whitewood is used to carve furniture and other articles. Shanghai is also one of the major silk producing and exporting regions in China. Shanghai silk is incredibly popular within China and abroad for its various uses including satin, damask, brocade, crepe and so on. “Jin San Bei”, a world-known flowery silk, is made by focusing on traditional Chinese painting. Cheongsam, the recognizable one-piece female dress, developed from traditional Manchu female clothing. Cheongsam, as the symbol of traditional Chinese beauty, played an important role in Shanghai during period of the Republic of China. Shanghai style cheongsam developed during the 1920s when western-style clothing was introduced. 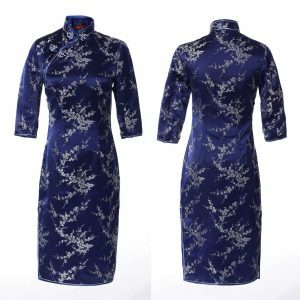 The cheongsam during this period was shortened and tight-fitting to show the feminine figure. The popularity of cheongsam was curtailed for various reasons before a revival during the 1980s. Nanjing Road, one of the four shopping streets, enjoys the reputation of being the most popular shopping are in Shanghai. From Zhongshan No.1 Road in the east to Middle Tibet Road, Nanjing Road is nearly a mile in length long. 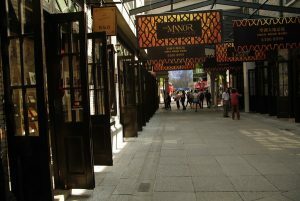 Developed in the early 20th century, Nanjing Road is packed with various kinds of shops, including upscale retailers. Nanjing Road consists of Nanjing Road East and Nanjing Road West, Nanjing Road East being more popular, which is hailed as a “shopping paradise”. Huaihai Road is a three-and-a-half-mile long shopping street located at the center of the center of Shanghai. The sophisticated atmosphere makes people think the area is on a par with the Champs-Elysees in Paris, Fifth Avenue in New York and Ginze in Tokyo. There are about 400 modern stores on this road and the most prosperous part is more than a mile long from Shaanxi Road to Tibet Road. Huaihai Road has centralized stores which sell the medium-to-high grade goods and world famous brands. Sichuan Road North is ranked as the third shopping street after Nanjing Road and Huaihai Road. It developed from a narrow and crowded shopping street. It is different from other shopping streets, as the stores on this road mainly focus on famous domestic brands. Shaanxi Road connects the Huaihai Road and Nanjing Road, mainly selling shoes and clothes. There are numerous shops with different style along the road. Taking a walk along the road, you can enjoy the vintage European buildings and small but elegant shops. How to get to: Taking the buses of No.37, No.20 and No.17 to Middle Fujian Road or No.14 to Beijing Road. Taking the subway of Line 2 to Middle Henan Road. How to get to: Taking the buses of No.42, No.43, No.72, No. 927 and No.401 and the subway of Line 1. How to get to: Taking the buses of No.23, No.24, No.112 to Shaanxi Road. Or taking the subway of Line 2. How to get to: Taking t.he buses of No.831, No.42, No.126, No. 932, No.02, No.911, No.920, No.781 and the subway of Line 1 to get to South Huangpo Road. How to get to: Taking the buses of No.81, No.82, No.870, No.581B, No.85, No.111, No.983, No.583, No.797 and No. 623. Taking the subway of Line 2. How to get to: Taking the buses of No.911, No.17, No.18, No.936.